I'm kind of journaling back and forth lately. These two spreads are the inside of the last two I posted. I like working on the old book pages for a change. This brings up something that has kind of bugged me lately. 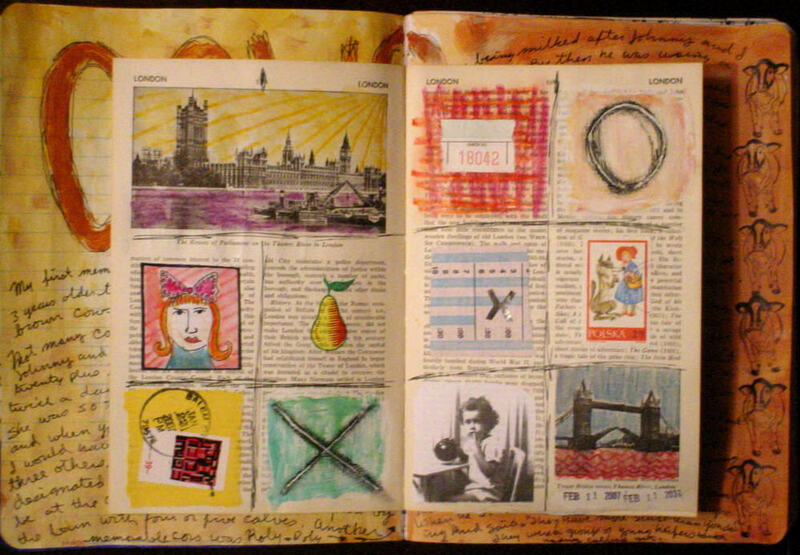 I keep seeing the phrase "altered art journal". Just exactly what is that supposed to be? Isn't a journal for writing, painting, arting, etc...? Don't you call one that hasn't been worked in just an empty journal? I get altered books. They were meant for another purpose and using them for art is altering or changing them. Calling a journal altered just seems silly to me. Ok, I'm getting off my soapbox and going to watch 24. Yup, I agree with you there. You can alter a book, but an altered journal implies you take someone's journal and alter it. And I love 24, too. Total agreement here, too. 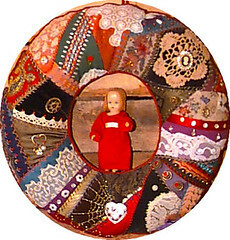 I think it's a stupid phrase "altered art journal" kinda like "exactly the same". OK, gotta stop. I almost got started. I had the same thought too. But found when I discussed using art in a journal people looked at me like i was stupid. 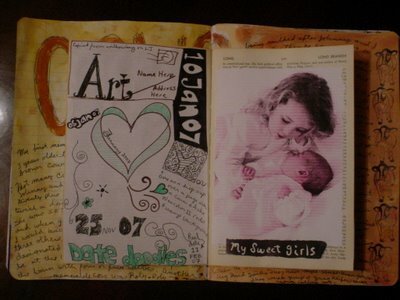 So I just use the term "art journal" when refering to my journals so that it gives people a rounder picture. I guess if i got mad and cut one of them up, it then would be worthy of the title "Altered Art Journal"
I usually call mine art journals too although I think I really prefer the term visual journal for what I do. I had an aquaintance ask me if I was still doing embroidery yesterday and when I said that I wasn't doing it much, I'm doing art journaling, I kind of got a blank look. Most people think it's pretty cool when they actually see them though. wow i new to all this,im glad i see someone who agrees with me.I have several journals,some i wouldnt care if any one read ,and others that are dark.SOmetimes i just dont want alot of decoration on a page,i do it to journal ,and somedays i would rather do art.